Welcome, Spring! While winter was fun, it’s now time to step out into the sunshine and show our vibrant faces. And healthy, glowing skin. 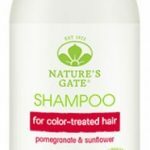 What better way to do this than with help from some vegan beauty products? 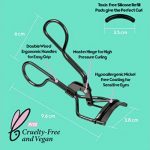 If you’re looking for new cruelty-free vegan beauty products to try, to apply your makeup, pretty up your body and smell springtime sweet, here are some ideas. EcoTools Makeup Brushes are vegan brushes made with strong and sustainable bamboo/recycled aluminum handles. 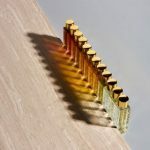 They’re crafted with synthetic bristles so you don’t have to worry about any animal’s hair having been pulled out just for your brush. 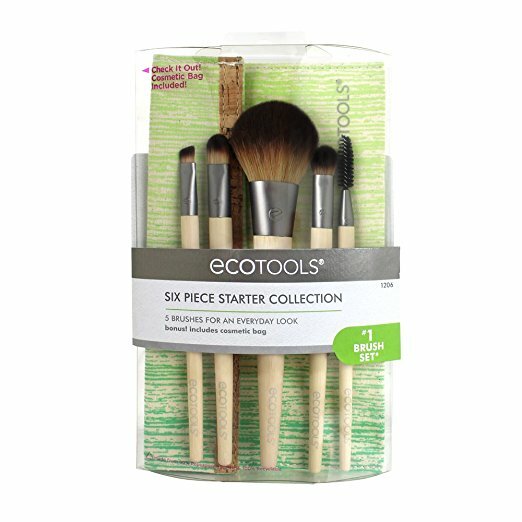 EcoTools Makeup Brushes come in earth-friendly recycled packaging too, which makes them especially great products. You can order EcoTools brushes online on the company’s website. Let yourself be inspired by the beautiful and delicious-smelling perfumes that come in Pacifica Beauty’s Custom Spray Perfume Gift Set. Treat yourself to this aromatic collection of perfumes that come in a stunning Custom Perfume Gift Box. Happy Spring to you! This set is absolute perfection. Inside the lovely box, find gorgeous bottles of perfume that are personalized according to choices you make when you place your order online. Make one of the perfumes the Vanilla scent. It’s divine. The Vegan Cuts Beauty Box is a unique and much-welcomed vegan beauty product to start spring with. Every month, Vegan Cuts puts together a beauty box that includes 4 to 7 sample-sized containers of luxurious and organic cruelty-free skin care. Customers who subscribe to the beauty box get a collection of products that range from cleansers and lotions to makeup and bath bombs. You can pay for a month’s subscription to the Vegan Cuts Beauty Box or keep your boxes coming for months on end. Enjoy the new season and these great products to kick it off!